I confess. 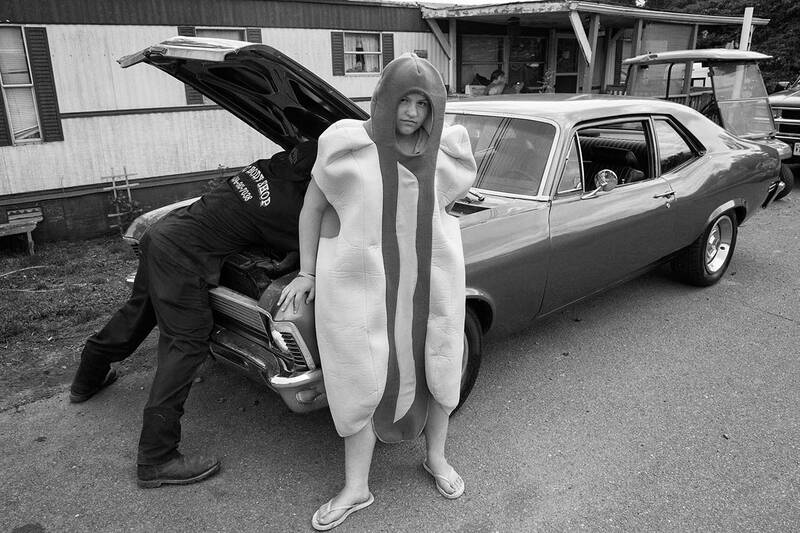 While I was fixing to take a picture of Emmanuel’s 1970 Nova I saw Katelyn Hicks drive by in a hot dog suit. Asked if she was willing to stand in, she agreed. So, posed picture.